Hi!Black Friday is over, but discounts continue! You still can save money in Rosegal online store. Don't miss! Black Friday will continue until November 26. Black Friday 2017 Rosegal is no less cool than in other online stores. By the way, this is one of my favorites stores. I order clothes here very often. During black Friday sales you can you can buy clothes, shoes, accessories, home decor and much more very cheap. Of course, more information about Rosegal black friday deals you can read on the site. I created a small wishlist of clothes, which I plan to buy in the near future. Черная пятница закончилась (я, кстати, благополучно просидела весь день дома, так ничего и не купив 😂), но скидки продолжаются! В некоторых интернет-магазинах вы все еще можете купить вещи по ооочень привлекательным ценам. Один из таких магазинов - Rosegal. Я часто заказываю вещи в этом магазине, и еще ни разу не разочаровывалась. By the way, in the Zaful online store you can still get a 20% discount on the entire range. Я тоже благополучно просидела дома 😁 так и не воспользовавшись моментом. Great selection! Wonderul post daring, so nice,original and interesting! Love it! the blue sweater is so cute! 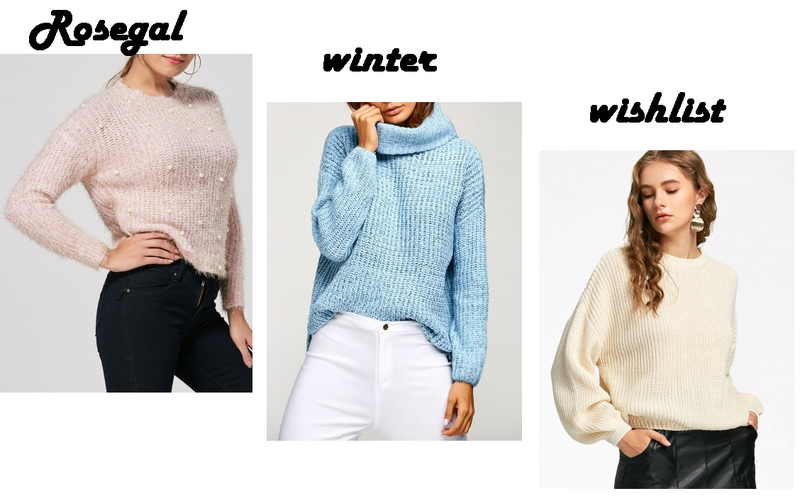 I really love this post and your choices por winter time!